So "did not finish" is perhaps a misnomer since I did technically finish this book, but since I skimmed a whole lot of pages, I decided perhaps claiming to have read this book in its entirety would be less than honest. It started off strong and held my interest in chapter one as Shulman talked about the passionate beekeepers who live in New York City and what they have done to make beekeeping a viable (and legal) option in the urban landscape. I was riveted as I read about bee swarms and the strange, alarming phenomenon of glowing red bees that produced bright red honey. But I found that the more chapters I read, the less interested I became. I got so bogged down with all the different names of people she talks about throughout the entire book, and found myself bored with some of the history (the chapter on sugar especially) that I just couldn't focus and thought to myself, "This isn't interesting, next page." I said this to myself quite a lot while I was reading. 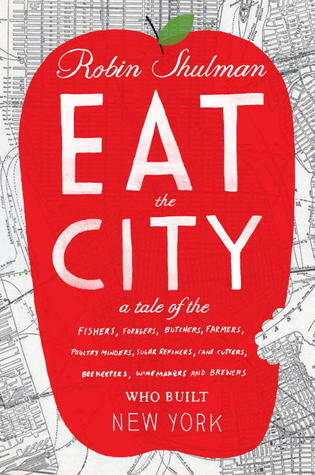 I thought this would be a great book for me to read since it's a foodie book, but I think it appeals more to people who like reading about history than food. It would also be more relevant and interesting to people living in New York City I think. Shulman is a very strong writer, but the subject-matter just didn't appeal to me as much as I thought it would. I live in NYC, so this maybe something I'd like. Thanks for the honest review. Oh bummer. But I know what you mean, sometimes it's easy to get bogged down in names and facts. It does sound interesting...maybe I will give it a try. Great honest review, sorry it was disappointing. I live in NY and I do like history so it does appeal to me, but I do have a tendency to skim if it's slow. Good to know this is one book I don't need to add to the TBR pile. Have a great week. This will go in my Maybe Later mental file. The beekeeping is something I had vaguely heard about and was curious about. Maybe skim later if it comes to the library.